International Adoption Net is licensed by the State of Colorado and the	State of Florida to provide home study services to prospective adoptive	parents. Our vast experience in both international and domestic adoption	provides us with a great deal of knowledge to aid adoptive parents in	their journey. With so many home study agencies, why choose IAN? IAN is fully licensed and Hague accredited. Only Hague accredited agencies	can provide home study services. We provide home study services to all of Colorado and all of Florida. Our professional and knowledgeable home study social workers average more	than 10 years of experience, and have a wide variety of adoption experience. We have experience completing home studies for many international programs	including: Ethiopia, Uganda, India, Guatemala, Ukraine, Russia, Costa	Rica, Ghana, Vietnam, Democratic Republic of Congo, China, Maldova, Ukraine,	Mexico, Bulgaria, just to name a few! IAN is able to complete a homestudy	for any international program, and flexible to meet any program guidelines	with in Hague and State regulations. 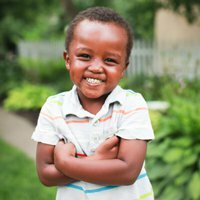 Our adoptive parent training meets all Hague and state standards, covers	a wide range of topics, and is taught by top social work professionals. Our prices are competitive, and our service is professional, timely, and caring. We have several social workers located around the states in Florida and	Colorado, so we are able to provide services to pretty much every area	of each state! Through various partnerships we are able to connect families in CA, TX,	NY and OH for seamless homestudy and placement services. All homestudies completed by IAN will also come with post adoption reports	(varies based on the requirements of the court decree) and validation	services as part of your total fees. Validation is the process in which	you go to the local county court, we process ours in Arapahoe county,	and get a Colorado court decree of adoption, and can change your child’s	name for the Colorado birth certificate. For more info please see our	post adoption services page. Training is also arranged based on state laws, USCIS requirements,	and vary based on which program you are adopting from. Contact us to get your homestudy started today, and be one step closer to growing	your family! 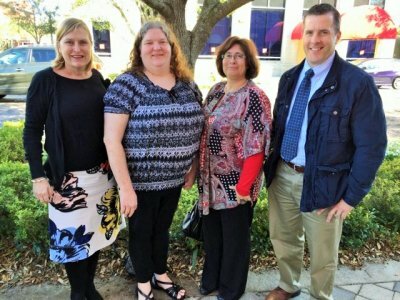 Meet our Florida Team! These social workers are ready to assist you in	Florida for your domestic or international homestudy!